With more and more artisan food producers coming on the market there is an increasing need to understand how machines can give a good return on investment – from reducing labour costs to giving a consistency of product. It is so encouraging to see organic bakeries springing up and needs soon grow with success to needing proper robust equipment built to work in heavy duty environments. Whether it be a low temperature oven for a Honey Manufacturer, Boiling Pans for a Sweet Manufacturer or a 60 litre Robot Coupe Food Processor for Inverawe Smokehouse, we pride our selves on providing quality products that can be delivered to our clients in a short space of time. The majority of kitchens need a Food Processor of some description, be it a Blender, Shredder, Bowl Cutter, Mixer or combination Blender which cooks as well. 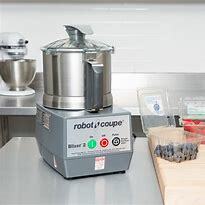 Robot Coupe has been an established quality supplier to R H Morton for decades and provide a huge range of Food Processing Models. It's important to choose the right one and a demonstration is often the best way for a Chef to go in order to choose the optimum model to meet his needs. The sales staff will happily arrange such a demonstration to bring the client up to speed on the latest developments and operation of the machines - all part of the service at R H Morton. Bakery and Butchery equipment also fall into this sphere and plenty of support can be provided to source the right size and type of machine for each application. Because Morton's have supplied the Marine Industry for over forty years, they regularly sell very large capacity Bakery, Vegetable Preparation Machines and the Combi or Convection ovens to produce the volumes required on Marine Vessels and Offshore Platforms.